Disaronno Amaretto Italian Almond Liqueur is a popular Liqueurs available from Tesco Groceries in 50cl to buy online. Visit Tesco Groceries for the best price for 50cl of Disaronno Amaretto Italian Almond Liqueur or compare prices on our other Liqueurs products. Legend has it that Disaronno Amaretto was first conceived way back in Italy in the early 1500's. An infusion of apricot kernel oil, neutral spirit, caramel, and essence of 17 herbs and fruits gives an intense aroma of sweet marzipan on the nose with a touch of toasted nuts. The marzipan on the nose gives taste combined with almond notes and whispers of both vanilla and lemon zest together giving a bitterness to balance the sweetness. 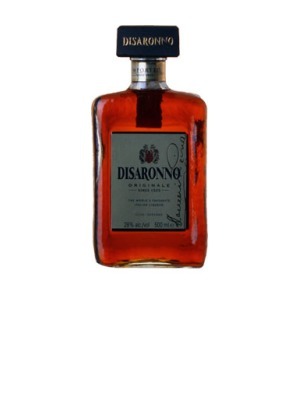 You can buy Disaronno Amaretto Italian Almond Liqueur online in most retailers and find it in the Liqueurs aisle in supermarkets but we found the best deals online for Disaronno Amaretto Italian Almond Liqueur in Tesco Groceries, Waitrose Cellar, DrinkSupermarket.com, and others. Compare the current price of Disaronno Amaretto Italian Almond Liqueur in 50cl size in the table of offers below. Simply click on the button to order Disaronno Amaretto Italian Almond Liqueur online now.